In conjunction with focusing on diet, environment, and lifestyle changes to improve your health, Dr. Wang recommends extremely high quality and science-based medical-grade supplements that are recognized by the healthcare industry and are in a form that is easily absorbed. Dr. Wang is an authorized dealer of the following products. Be careful of similar imitations that state they are the same thing at a discounted price. Metagenics believes in how the right nutrition could help people realize their best health possible by influencing what makes them unique—their genes. The company calls it “genetic potential through nutrition.” Learn more at Dr. Wang’s Metagenics page. Daily supplementation with GliSODin Skin Nutrients provides therapeutic doses of essential ingredients that strengthen and protect your skin from within. Get anti-aging formulas and nutritional supplements by shopping online at https://www.glisodinskin.com/US/. Use code WAN0580 each time you order to receive free shipping. Systemic Formulas utilizes a proprietary blend of vitamins, minerals, enzymes, RNA/DNA tissue factors, amino acids, and botanicals which are synergistically formulated in a manner that targets a particular health issue, as well as supports the entire body system as a whole. Tested and proven by users for over fifty years, these products are developed to aid the body’s vital functions such as the immune system, organ function, and overall wellness. Xymogen is passionate about helping individuals achieve their best possible health. As a family-owned health sciences company, Xymogen creates innovative dietary supplements in answer to individual feedback from licensed healthcare practitioners and customers. Get nutritional supplements by shopping online at https://www.xymogen.com/. Use code wangah each time you order to receive free shipping. 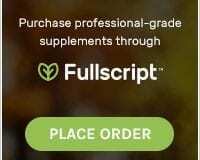 Shop for my favorite professional-grade supplements on the Anita Wang, MD Fullscript dispensary page. Fullscript is your one stop shop for finding Metagenics products. https://us.fullscript.com/welcome/awang. Visit my Wellness Blog for health-related articles from an anti-aging perspective.